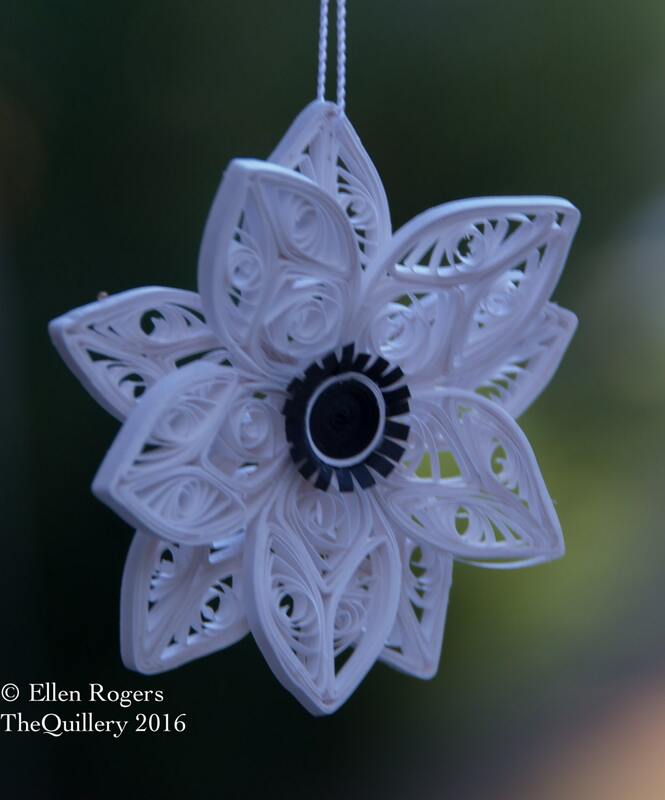 This quilled paper white anemone flower Christmas ornament is handmade from white and black strips of paper. 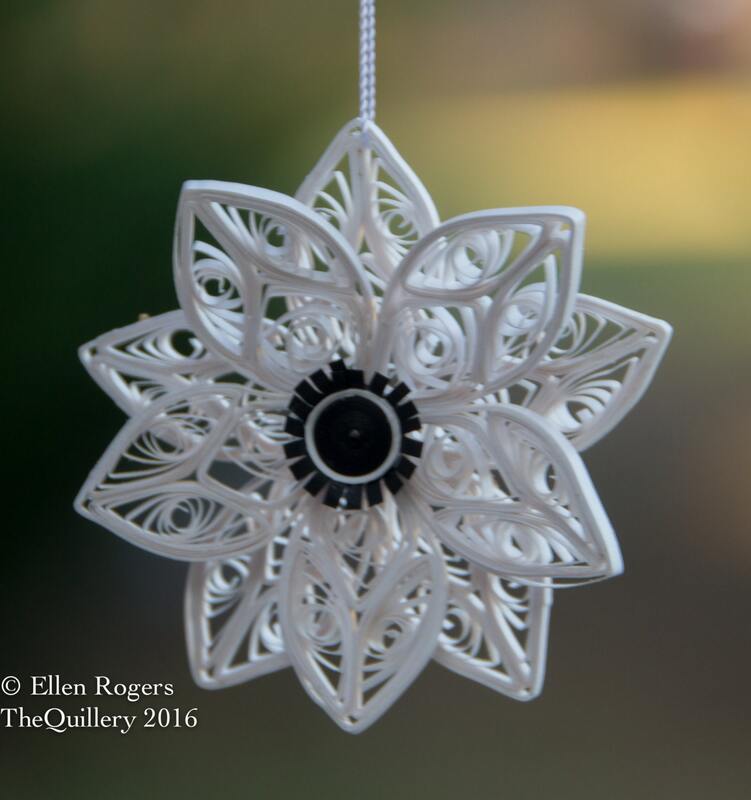 It's made by hand and then sealed with clear sealer and a string is attached along with a metal ornament hook. You will be able to hang it right out of the box! This would look great hanging on your Christmas tree. This would also make a great 1st wedding anniversary gift as it is the "Paper Anniversary". My shipping packaging makes it really easy to just wrap and give as a gift as well! This is a handmade ornament and each will be unique and no two are exactly the same. Size of the anemone is approx. 3" across. 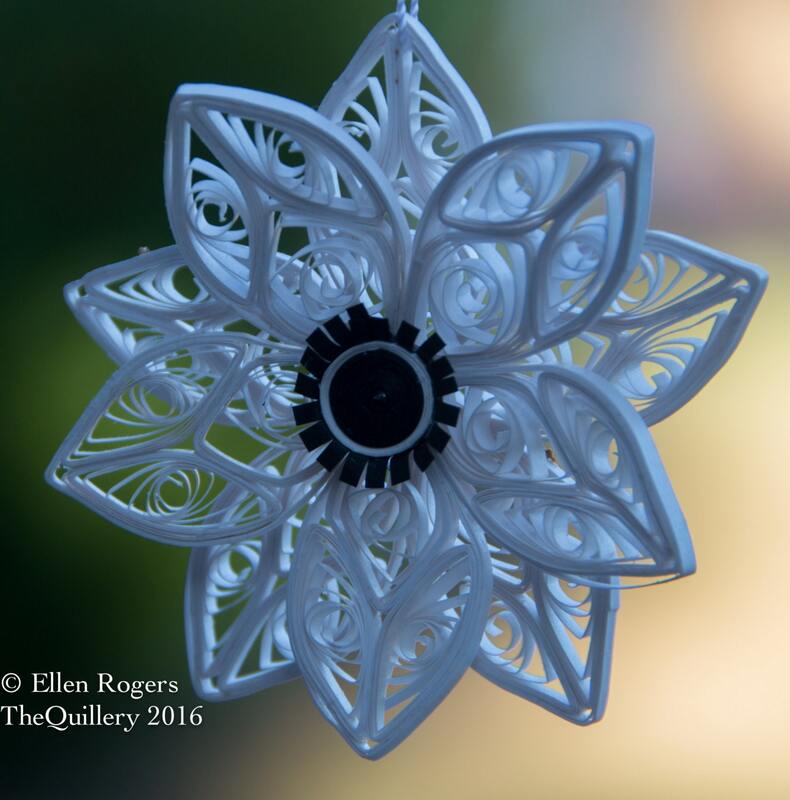 This ornament is premade and ready to ship. If you would like to purchase a quantity greater than what I have in stock, message me! I will be glad to make a custom listing just for you! Please allow 7-10 days for custom orders.